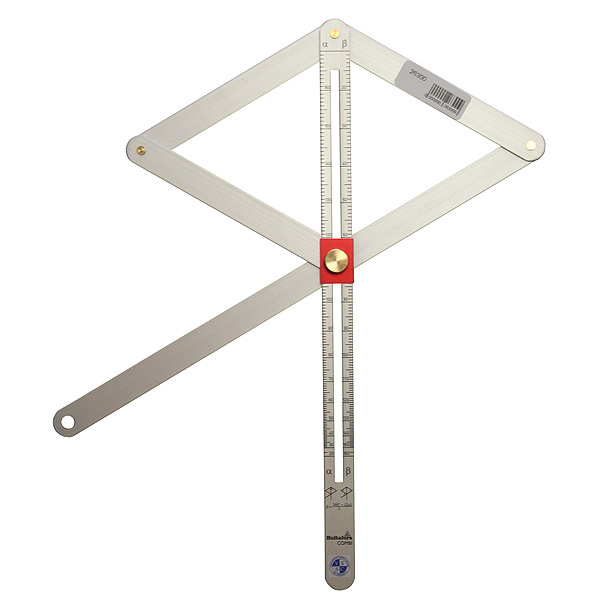 With Combi Angle you read angles - external or internal - directly on a scale. Ideal for mitre cutting barge boards fillets architraves etc. The Angle gauge is also ideal for many related measurements - you can determine the centre point of cylindrical objects up to 130mm in diameter. Precision made in aluminium with brass pivots.